Specially Formulated to Clean Horse Rugs constructed of Synthetics, Canvas, Cotton, Polyester, Polycotton, Acrylic, or Denim. 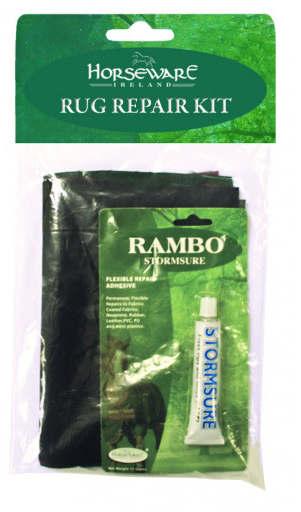 A must have for quick rug repairs containing: Ballistic nylon patches; Rambo Stormsure glue, spatula and gloves. 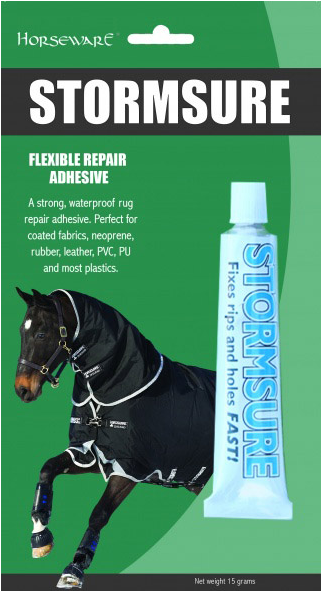 A flexible repair adhesive to contain and waterproof the nicks that your rug may pick up over the years.